She might be small, but she's got it all-she's Kid McGear, Skid Steer! 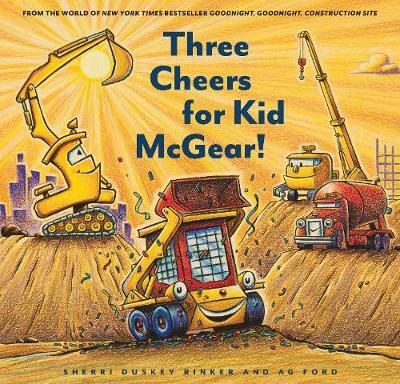 Kid McGear is the newest truck to join the Goodnight, Goodnight, Construction Site crew, and she's eager to help with even the roughest and toughest construction work. But when a steep cliff puts the other trucks in danger, can the new Kid on the site prove she's big enough for even this big, big job? Playful rhyming text from the bestselling team behind Construction Site on Christmas Night makes this thrilling tale of teamwork and the BIG potential in the littlest readers a must-have read-aloud for construction fans both big and small.